Recently advances in technology have allowed scientists to create diamonds in a laboratory, which are exactly the same as diamonds mined from the earth. These lab-grown diamonds are identical in every way to mined diamonds but no mining was required so they are eco-friendly in every way. New Dawn Diamonds is a leader in this new technology and is committed to bringing to life lab grown diamonds that are both beautiful and sustainable and cause no harm to Mother Earth. 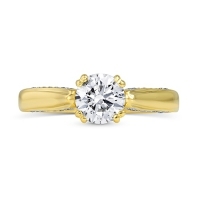 How can I tell the difference between lab grown and mined diamonds? These lab grown diamonds are identical in every way to mined diamonds and can only be distinguished in a gemological laboratory. New Dawn Diamonds believes in complete transparency for all our diamonds and has each and every diamond certified by internationally recognized gemological laboratories. A certificate of authenticity comes with each New Dawn Created Diamond. 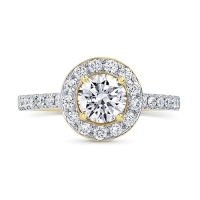 New Dawn Diamonds are graded using the same methods as mined diamonds on the 4C’s- Color, Clarity, Cut and Carat Weight. 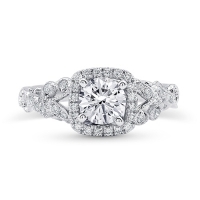 Why should I purchase lab grown diamonds? 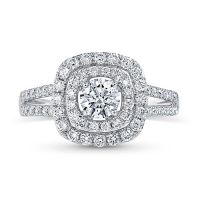 It is true… no one, outside of your jeweler, can tell mined and lab grown diamonds apart. But now you have a choice…. 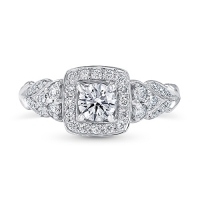 They will look and feel fantastic and special just the same as a mined diamond set in any jewelry. 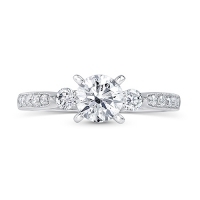 Diamonds are the eternal symbol of love. Keeping in mind that we are all connected and together on Mother Earth, we must all give back for the good we have received. By purchasing a New Dawn Created Diamond, you will be helping our planet and shrinking your footprint. 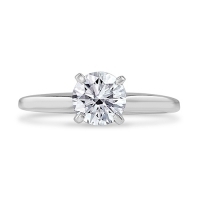 Additionally New Dawn Diamonds will renew the planet as they are environmentally friendly. 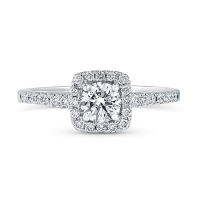 Where are lab grown diamonds manufactured? New Dawn Diamonds are grown in a select few highly advanced laboratories with the most current eco-friendly technology available. Being socially responsible, our well paid trained technician’s work in a clean, safe and comfortable laboratory environment. The laboratories that grow New Dawn Diamonds use a minimal amount of energy and have almost no emissions or pollutant bi-products. All of New Dawn Diamonds’ laboratories are certified to be environmental friendly, free from political conflict and to never use child labor. What is the environmental footprint of a lab grown diamond? New Dawn Diamonds are environmentally friendly and have a tiny ecological footprint. Is any child labor used in the manufacturing of lab grown diamonds? Are lab grown diamonds used to fund wars or violent conflicts? All of New Dawn Diamonds' laboratories are certified to be environmental friendly, safe and to follow all local labor laws. Growing New Dawn Diamonds requires a highly technical process and a hyper clean and systematized environment. New Dawn Diamonds are not touched by political conflict in war-torn areas of the world either during their creation or when they are cut and polished. We pride ourselves on being responsible creators of this lab grown symbol of love.